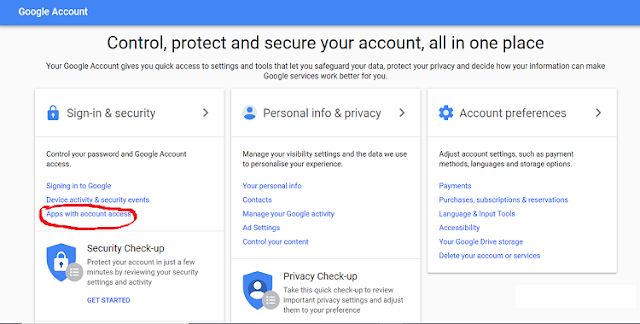 Though Google confirms that it is not against their security policy but, some security professionals states that it will be a real risk for the users in case of maintaining their data privacy. Let’s check if you have given access to read your personal email to any external company. You can easily check up whether you have given any kind of permission to any external app for accessing your data. From your signed-on Gmail account click on the profile image at the top right corner. Then just click on “Google Account”. 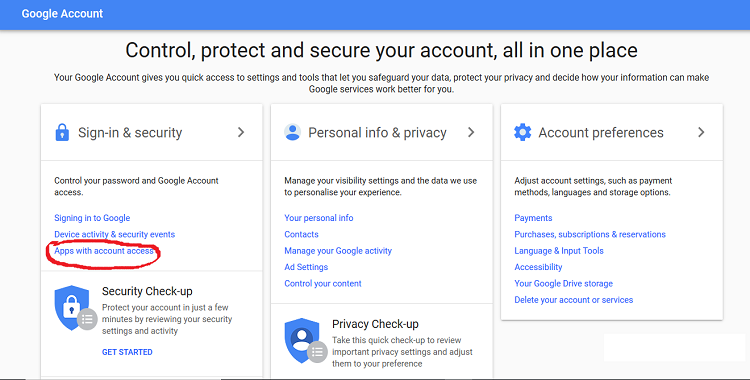 Now from your google account control panel click on the link named as “Apps with account access”, it will under the "Sign-in & Security" features. You can see the below image that underlined the exact link. After clicking on the “Apps with account access” link you will see what apps have been linked to your Google account. If you have allowed any external app to read your Gmail messages then, your personal emails may be read by the account staff of these apps. But there is nothing to worry because the good thing is that you can revoke access from those external apps with just a click. You can revoke permission from any App that you already provided just by clicking the “remove access” button against any app.